Snow's hairstyle/clothes - remain same or change? Do you guys want to see Snow in a maybe different hairstyle/clothes in season 2? In episode 5, it seems through photos which the Crooked Man (or was it Crane, I can't remember) took of Snow hanging up on the wall in the factory, it's implied that Snow's had the "updo" hairstyle for a while (at least couple of years). Snow's hairstyle was changed from the comics because hair is extremely difficult to animate. The only Telltale game that has had female characters with long hair is Game of Thrones because it wouldn't fit the universe if they all had short hair- and it didn't look spectacular. They definitely need to change each character's look if they're changing the time period. And I hope S2 Snow looks more like herself from the comics in the way of facial structure, because IMO there's little resemblance currently. As hemfbg said, hair is very difficult to animate since long hair need to be fluid and it will look awkward when it is stiff and unmoving. I personally don't mind if Snow keep her hairstyle, but maybe change it a little bit so we know that some time has passed. But then again, don't forget that Fables like Bigby and Snow are immortal. They don't age. I read the comics as well (several times already, but it's been awhile since I last read the series, so I'm planning to get back to reading the main series again sometime this week). Fables aren't quite immortal (although they seem very close to it) - they do die of old age (as it happened in case of Bufkin, who died of old age in Fables #124, after many millenniums of living). They do live a really, really, really (can't stress enough) long life, but they do eventually die. Probably the general perception that they are immortal comes from the fact that if they are popular, even if they are killed, they come back to life. Regarding hair animation, I understand it will look awkward/weird when stiff and unmoving (GOT, as hemfbg mentioned is proof of that) - but didn't Beauty have long hair (wasn't a half up or half down, but all down)? I just want to see some variation (since regarding pretty much everyone else, we can't expect any change unless they are new female characters, like Cindy or Rose Red). As hemfbg said, hair is very difficult to animate since long hair need to be fluid and it will look awkward when it is stiff and u… morenmoving. I personally don't mind if Snow keep her hairstyle, but maybe change it a little bit so we know that some time has passed. But then again, don't forget that Fables like Bigby and Snow are immortal. They don't age. Seeing as you've spoiler tagged this. Maybe Snow will have that style in S2? Can you upload an image? Haven't read the main series in awhile (just restarted last night). Seeing as you've spoiler tagged this. I recall there being a short story in one of the earlier Volumes where Boy Blue tells Sno… morew a story (and this is meant to be not long after she was appointed Deputy Mayor of Fabletown) and she has her hair down... Maybe Snow will have that style in S2? It would be hard to find one... It doesn't look any different from her hair in the rest of the Fables series. 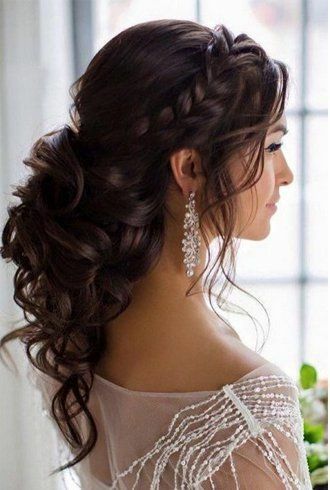 She just lets her hair down, it flows naturally. I like it shorter, it gives more of a feel to the animated movie. I would love/laugh to see Rapunzel with short hair though. I like it shorter, it gives more of a feel to the animated movie. I would love/laugh to see Rapunzel with short hair though. Several a day? Damn, I was gonna make an inappropriate comment but I don't want to get banned. That poor fable. I quite like Show's design in the game, so I'd prefer if they just kept her mostly the same. Maybe an update on her suit, but nothing too radically different. If I had to guess in Season 2 she will probably have her hair down, she does usually have it down in the comics. Im also hoping thats the biggest change to her model. I can't wait to see the updated version. With neat looking graphics. Biggest change having her hair down (to reflect how it is in the comics - though it doesn't need to be exactly like in the comics, e.g. like the half-down style in my thread). Clothes, maybe a little bit of change to coincide with the time period? If I had to guess in Season 2 she will probably have her hair down, she does usually have it down in the comics. Im also hoping thats the biggest change to her model. Well, I think the reason they kept her hair up is that it is easier to animate. I think that if they added her characteristic soft and long hair then it would be difficult to animate. 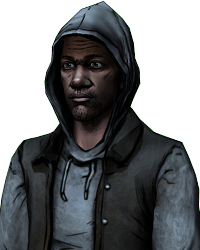 And considering telltale's art style, it would end up looking wonky and weird. Plus, the waiting period would probably need to be longer since they would still be animating her hair when the rest of the game is finished. I think that her hair should Look longer, yes, but still piked up to remain still. And her clothes are definitely a must. If possible, they could change her clothing throughout the game -since people usually don't use the same every day. Yeah, me too. Biggest change having her hair down (to reflect how it is in the comics - though it doesn't need to be exactly li… moreke in the comics, e.g. like the half-down style in my thread). Clothes, maybe a little bit of change to coincide with the time period? Beauty had her hair down in Season 1 as well though. 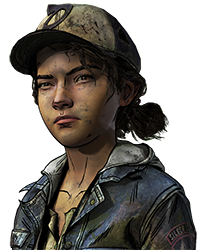 And considering Beauty's hairstyle is same (if not, then almost same) as her hairstyle in the comics, I think it is likely Telltale will be sticking to same hairstyle for Beauty if she does come back in season 2 (and if they're doing hair down style for Beauty anyway, might as well do it for Snow also...kill 2 birds with one stone). As for it looking wonky and weird, I know the hair down styles looked weird in GOT (which I think part of that has to do with the new game engine Telltale started using with that game), but I didn't really find it all that weird with Beauty in TWAU season 1 (though others may think differently). Will it look weird with Snow in season 2 (if they choose to have her hair down)? I honestly can't say (since I have no idea what style of animation they will be using). It would be something really nice to have though. to reflect Snow's hairstyle transformation as it becomes in the comics (full hair-down). Plus, I'm no expert, but wouldn't it just be more animation work to have Snow change her clothing everyday (or almost everyday, this is with assumption that TWAU season 2 takes place over several days)? Well, I think the reason they kept her hair up is that it is easier to animate. I think that if they added her characteristic soft… more and long hair then it would be difficult to animate. And considering telltale's art style, it would end up looking wonky and weird. Plus, the waiting period would probably need to be longer since they would still be animating her hair when the rest of the game is finished. I think that her hair should Look longer, yes, but still piked up to remain still. And her clothes are definitely a must. If possible, they could change her clothing throughout the game -since people usually don't use the same every day. No, that doesn't really matter. From the technical perspective, you can put animations on any model for as long as the rig / skeleton is the same. So TTG can create all of the animations and then simply choose which model to use it with. Oh, Ok. Well, I wasn't aware of that (that's something new I learnt today from you). Damn, she looks way more beautiful in the comics. According to me snow might have a new haircut because new engine will be able to animate better. This change depends on what time the second season takes place, if it will still take place in the 20 years before the beginning of fables maybe snow will still have the same haircut. Yup, she definitely does! (And a lot of that is thanks to Mark Buckingham's art/pencilling of her character. 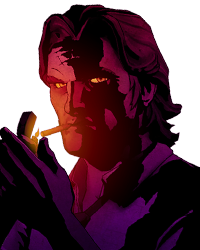 Come to think of it, his Bigby is my favorite design of Bigby as well). But I love Telltales' designs of Snow and Bigby too - they and all other characters' designs really fit with the Fables universe Telltale has setup. That being said though, I really do wish we could start to see Snow's hair down like we see in the comics. I agree. Vestiment should still be formal although maybe they could switch her up a big (but if they did change her ingame then it's fine). Although she did wear the same thing twice before-and-after being stained in blood. This wouldn't be so very important in the game, but it adds realism. Reminds me of Bigby, when he chased the car in werewolf form and hen he happened to stumble on some clothes that were surprisingly the same as the original ones. Or the fact that his clothes are 100% intact after his werewolf transformations. On one hand I do understand that the game would find it hard to continue with a naked Bigby, so that is fine I guess. Unrealistic, but understandable. Didn't Beauty in TWAU have long hair..? Snow's hairstyle was changed from the comics because hair is extremely difficult to animate. 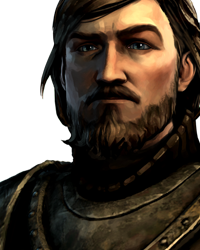 The only Telltale game that has had f… moreemale characters with long hair is Game of Thrones because it wouldn't fit the universe if they all had short hair- and it didn't look spectacular. They definitely need to change each character's look if they're changing the time period. And I hope S2 Snow looks more like herself from the comics in the way of facial structure, because IMO there's little resemblance currently.